Upgrading to High Sierra has left many users unsatisfied with common complaints about security flaws, slow system, frequent system freezes and so on. There are also complaints w.r.t installation errors such as Mac won’t boot after installation, getting stuck on the installation screen for hours etc. 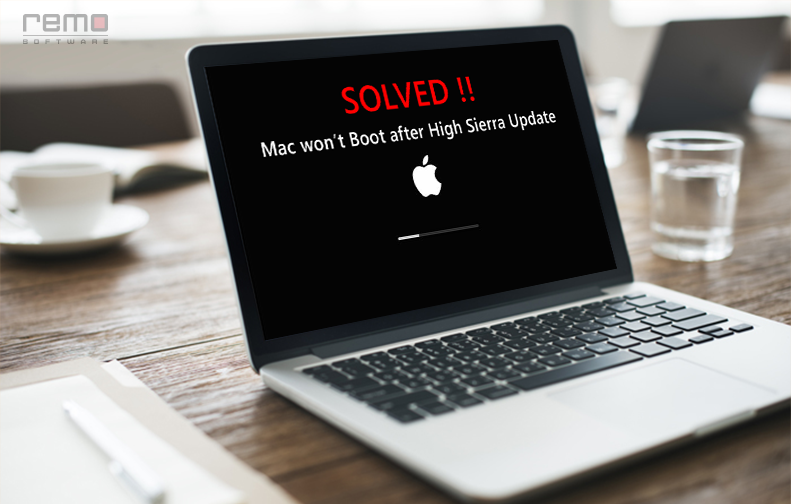 In this article, let us discuss about methods to fix ‘Mac not booting after a High Sierra upgrade’ error. 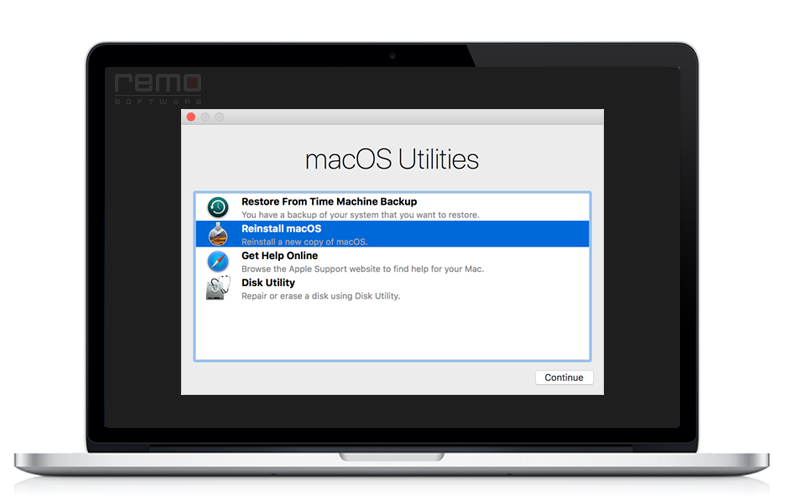 Before you proceed with the fixes, make sure to backup / recover data from your un-bootable Mac using Remo Recover, as there are chances of losing your data. Read on to learn about simple and effective solutions to resolve this problem. 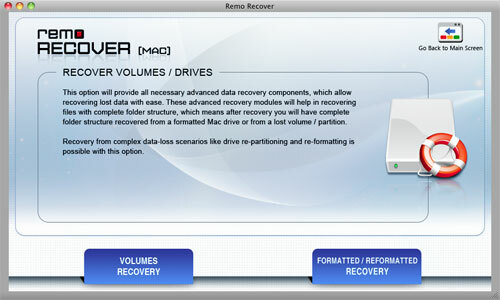 Download Remo Recover (Mac) tool and recover data first before performing any fixes. As some of the troubleshooting methods may delete data from your system. It’s better to secure your data before you go ahead. Follow the below explained steps to backup & recover data from a not booting mac after High sierra Update. First remove your unbootable Mac’s hard drive and connect it to a healthy Mac. 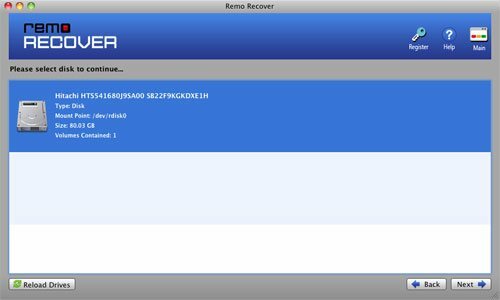 Then download and install Remo Recover Mac on the healthy system and proceed with the recovery process using the steps below. Note: You can choose to save the scanning progress so far by clicking on Save Recovery Session. This is useful for continuing the recovery process at a later time. Note: The software works with all versions of Mac OS 10.5 and above. Now that you have your data recovered, you are all set to proceed with the troubleshooting steps to resolve your Mac’s booting issues. An upgrade to High Sierra may have changed certain default values and settings on your Mac. Resetting SMC may help restore those settings to make it compatible with the new Mac OS. To reset SMC, follow the steps below. Then power ON your Mac the usual way and check if it resolves the issue. Safe Mode in Mac repairs issues with your start-up disk and directories. 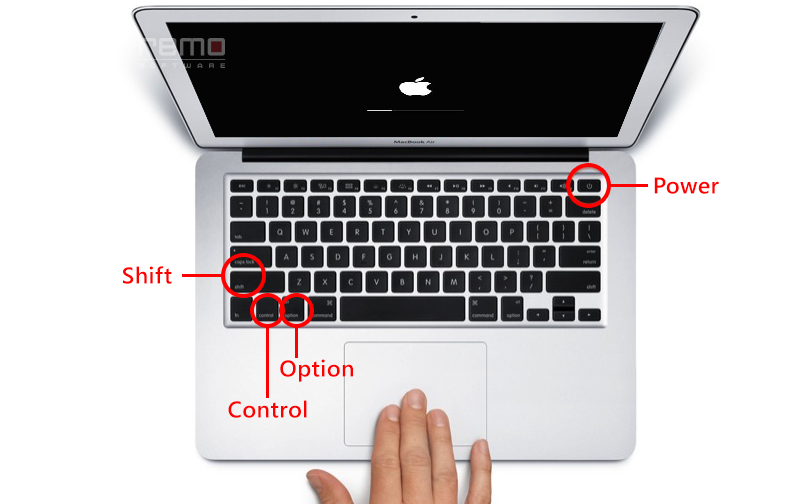 To boot your Mac in Safe Mode, restart your Mac and when you hear the start-up chime, press the Shift key. When you see the Apple logo, release the Shift key and wait for your Mac to start in Safe Mode. Please note that this may take a while as the repair process takes place in the background. If the repair is successful and your Mac starts in Safe Mode, you may be able to boot normally. If this doesn’t help, proceed with the next step. Once the installation is complete then you will be able to boot into Mac easily. in case, if you have trouble updating to High Sierra or Stuck while updating then, follow the link to the steps to fix High Sierra update errors in quick steps. To be on a safe side, always have a backup of all your files before you attempt re-installation or any other repair process that may delete data. If you’re using a Mac, take advantage of the Time Machine feature. 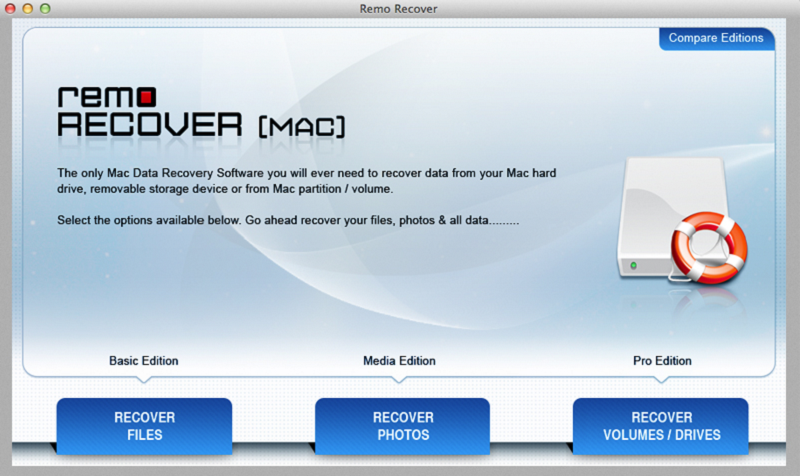 If you don’t have Time Machine set up, download Remo Recover and protect your data.